The Z32 generation Nissan Z was available with a natuarally aspirated or turbocharged V6 - which while fast and fun, is lacking the aural charm and off-the-line torque of a big V8. 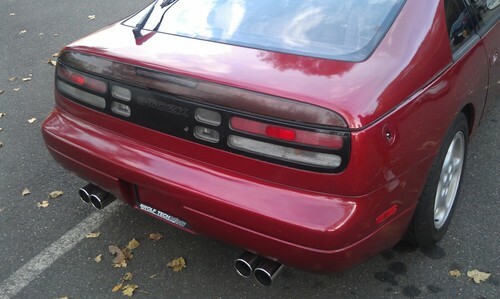 Thankfully, lunatics with spare time and access to power tools have given us the ability to buy a used 300ZX with an Infiniti Q45 V8 shoehorned into the front, such as this 1990 Nissan 300ZX w/ VH45 V8 swap for sale in Danbury, CT, currently selling on ebay for $10,850 buy-it-now. 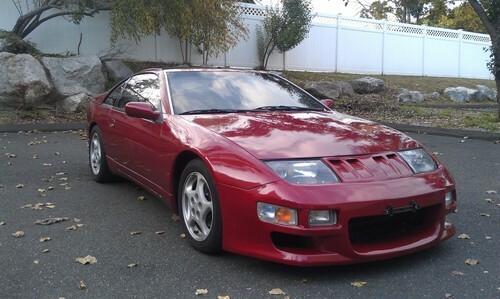 This Nissan 300ZX has lived a long life and currently has 173k miles on the chassis and sports some aftermarket front fascia and grille parts. 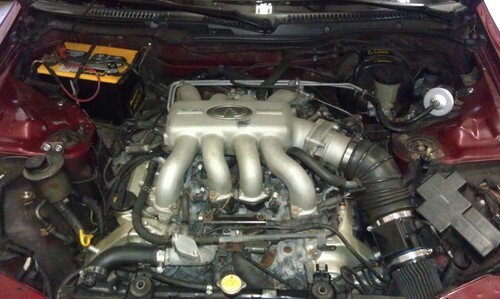 The Nissan VH45 engine shoved into the front is from a 1990-1996 G50 platform Q45. It is a 4.5 liter all-alloy DOHC V8 that puts out 276 horsepower and does a fantastic impersonation of a transverse mounted engine, but it's just a longitudinal V8 with an oddly shaped intake manifold. 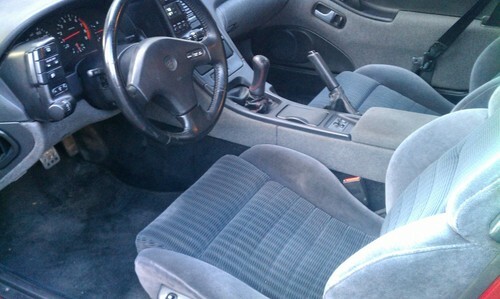 Although the ad doesn't specify, this car looks to be equipped with a manual transmission, probably the original trans mounted to the stock V6. While we do like this car, the asking price is a bit optimistic - if it was more stock in appearance and had 100k less miles, it may be able to pull $10k, but as is it better be really well sorted for this kind of asking price. ~ these, in stock form, nice condition, price out higher than i expected. seems to me with a full set of images it could, at least, should bring close to the ask. the Nissan V8 fits perfectly and makes sense. the intake plenum really throws you off.